CLEVELAND – November 22, 2015: The boards and leadership of the Sisters of Charity Health System and Joseph’s Home have named Christine Horne as the next executive director of Joseph’s Home. A ministry of the Sisters of Charity Health System, Joseph’s Home provides a nurturing, caring environment for homeless men with serious medical needs, helping them heal and achieve independence. Joseph’s Home also coordinates services from local partners to meet the needs of each resident as he works to become self sufficient. 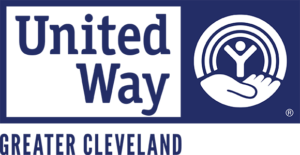 More than 450 men have graduated from the nonprofit – the only one of its kind in Northeast Ohio – since 2000. Horne has more than 20 years of experience and leadership in Catholic ministry, serving in a variety of roles at Catholic Charities Corporation. Most recently, she served as the director of Catholic Charities in Lorain County, overseeing a staff of 30 with an annual budget of $1 million. Her key responsibilities included strategic planning, program development and implementation, fiscal oversight and fund development. In prior roles at Catholic Charities, she has also been responsible for risk management, quality improvement and management of intensive treatment center. With federal public policy shifts, sources of government funding have placed more emphasis on reduced length of stay and successful exits to permanent housing. As a result, the emphasis on rapid re-housing has started to reduce available funding for transitional housing programs like Joseph’s Home. “Joseph’s Home has every opportunity to adapt its service model in ways that continue to advance our important response to unmet needs of homeless men in Cleveland. I am honored and excited to be a part of it,” said Horne, who begins her new role November 30. Horne received a bachelor’s degree in psychology from Bowling Green State University and a master’s degree in nonprofit administration and leadership from Cleveland State University. 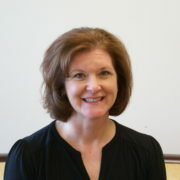 She is a licensed social worker (LSW). Nathan Munn has served as interim executive director since July. He will resume his role as director of development for Joseph’s Home November 30. The Sisters of Charity Health System solely owns four Catholic hospitals: St. Vincent Charity Medical Center in Cleveland, Ohio; Mercy Medical Center in Canton, Ohio; and Providence Hospital and Providence Orthopedic Hospital in Columbia, South Carolina. The Sisters of Charity Health System also oversees three grantmaking foundations located in Cleveland, Ohio; Canton, Ohio; and Columbia, South Carolina. Each foundation sponsors significant community initiatives and collaborations that address causes and consequences of poverty. Outreach organizations within the Sisters of Charity Health System include Joseph’s Home, a unique residential care center for homeless men in Cleveland, Ohio; Early Childhood Resource Center for people working in childcare in all settings in Canton, Ohio; Healthy Learners, a health care resource for children from low-income families in South Carolina; and the South Carolina Center for Fathers and Families, a state-wide organization supporting initiatives to reengage fathers in the lives of their children. The Sisters of Charity Health System also provides residential elder care services at Regina Health Center in Richfield, Ohio, and Light of Hearts Villa in Bedford, Ohio. For more information, visit sistersofcharityhealth.org.